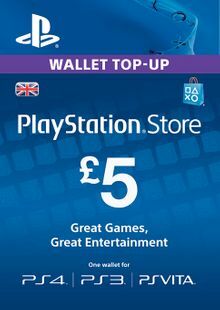 Note: this code will only work on UK PSN accounts. Your order for this product cannot be refunded once it has been despatched. Please ensure you have selected your preferred access region. The PlayStation Store is always open! Use your PlayStation Network (PSN) Card to purchase games, DLC, movies, or even TV shows. PlayStation Network Cards can also be used to buy PlayStation Plus subscriptions! Do you need in-game currency like V-Bucks? You can find that in the PlayStation store. 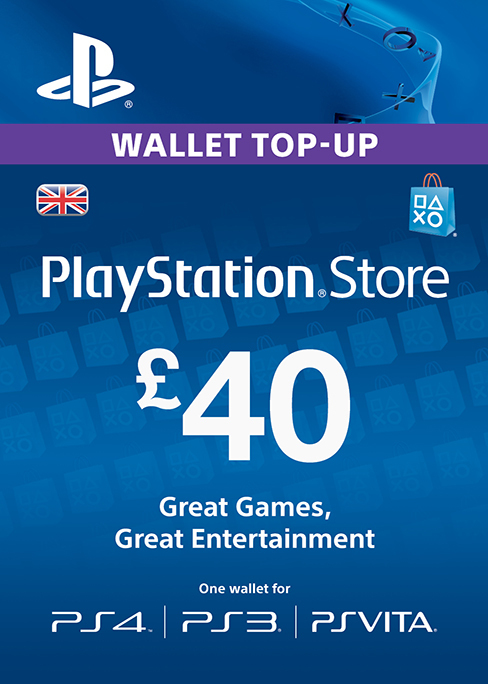 You can purchase products for PS4, PS3, and PS Vita with one card and one wallet. Please note this code will only work on UK PSN accounts. Your order for this product cannot be refunded once it has been despatched. Please ensure you have selected your preferred access region. What's included with a PlayStation Network Card? 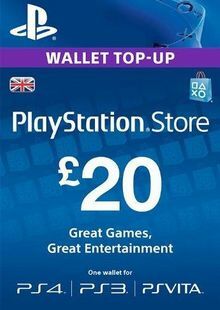 This product includes a redeemable game code worth £40 in the PlayStation store. Is there a region lock for this PlayStation Network Card? Yes, this product is redeemable in the UK only. 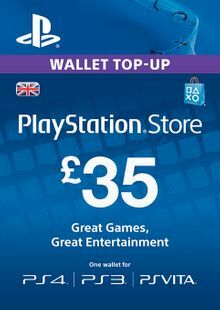 How will I receive my instant download key for my PlayStation Network Card? After payment has been approved, your key will be included in your order confirmation email. You can access your key by following a link in the email. Next, you can activate your key on its corresponding platform. How will I activate my key for PlayStation Network Card on PS4/PS3/PS Vita? Log into your PSN (PlayStation Network) account. Click on the “PlayStation Store” icon. From the menu on the left, select “Redeem Code”. Enter the code you received in your confirmation email from cdkeys.com, and continue with the prompts. You can download your game onto your system now, or at any time from the “Purchased” tab under “Library”. Click on the “Account” tab, and then select “Redeem Prepaid Card” from the menu on the left. After entering the code from your cdkeys.com confirmation email, you will see a list of the items you are about to receive. Scroll to the bottom and click “Redeem”. You can navigate to the “Media” tab to ensure your content is now available. 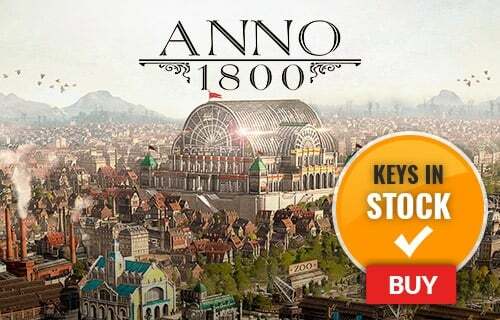 Enter the code you received in the confirmation email from cdkeys.com. PlayStation Network Cash Cards can be used to buy games, DLC, movies and even TV shows 24 hours a day in the PlayStation store. 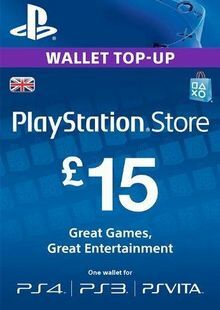 You can also use your PlayStation Network (PSN) Card to pay for PlayStation Plus subscriptions. The PlayStation store is constantly expanding, adding new games and other content every day! Buy in-game currency for your favorite game in the Playstation Store with a PlayStation Network Card. Want to get a free PlayStation Network Card? What are the system requirements for PlayStation Network Cards?